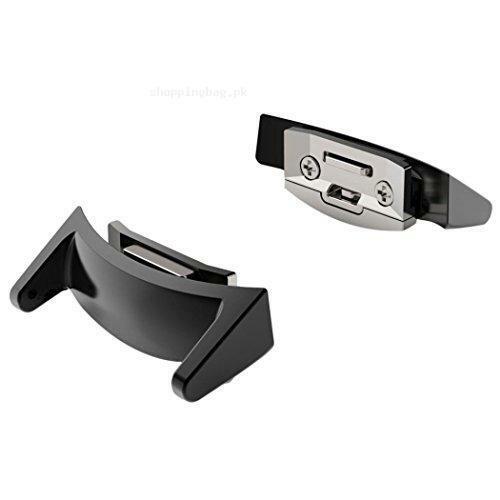 Anwish watch band Connector for Samsung Galaxy Gear S2 is made of stainless steel and it can fit perfectly with style. You can find this watch band connector price in Pakistan via Amazon Online Shopping in Pakistan. Anwish watch band Connector for Samsung Galaxy Gear S2 can attached with 20mm of watch band or watch. Find Anwish watch band Connector for Samsung Galaxy Gear S2 in collection of Amazon imported products in Pakistan and buy Amazon quality watch band connector in reasonable prices. Attach your favorite leather band on one side of connector and dial on the other end and enjoy instant connectivity with your Smartphone via Samsung galaxy gear.